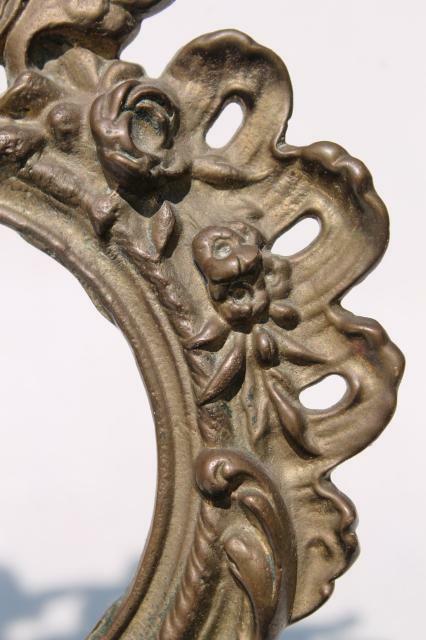 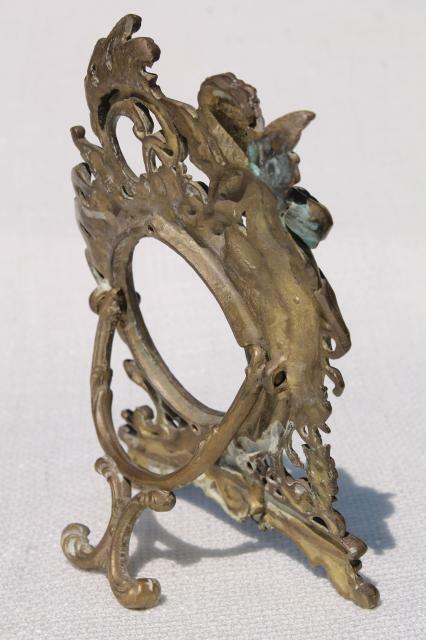 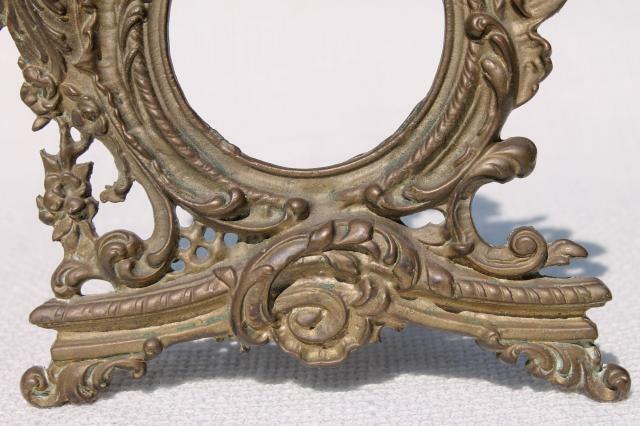 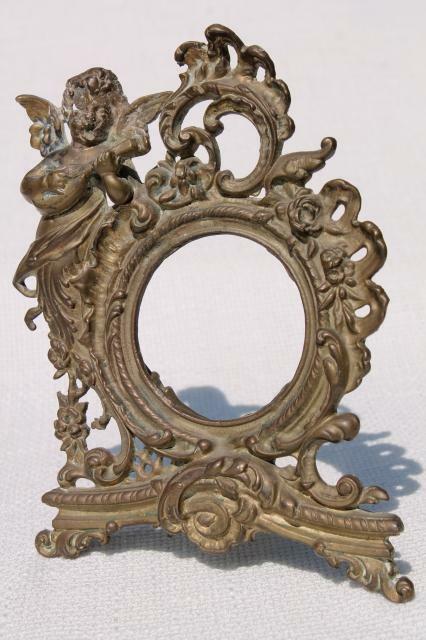 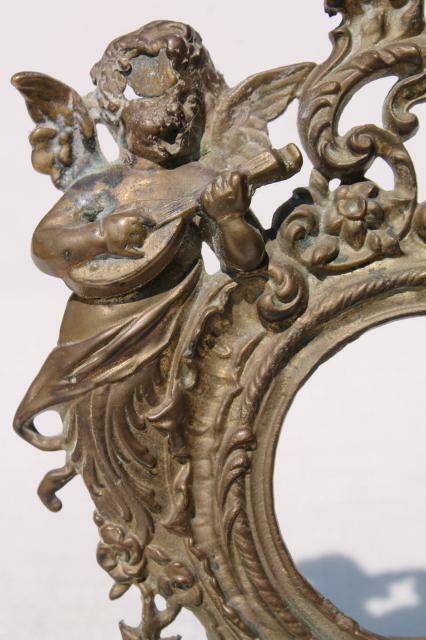 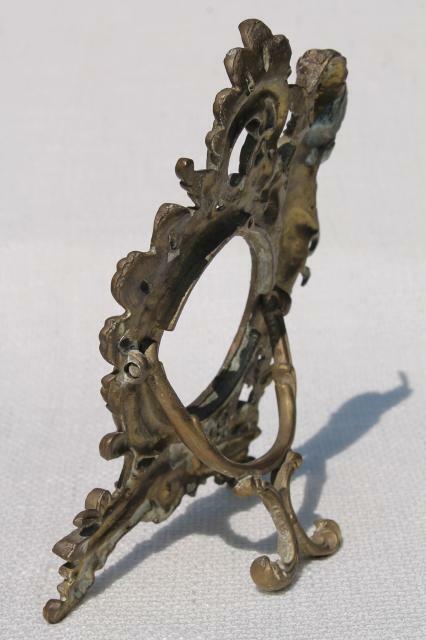 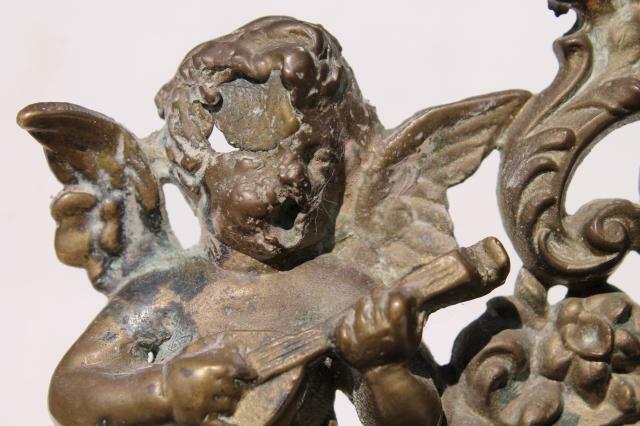 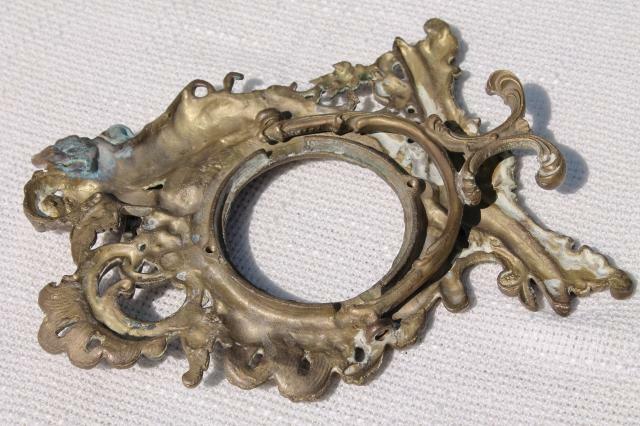 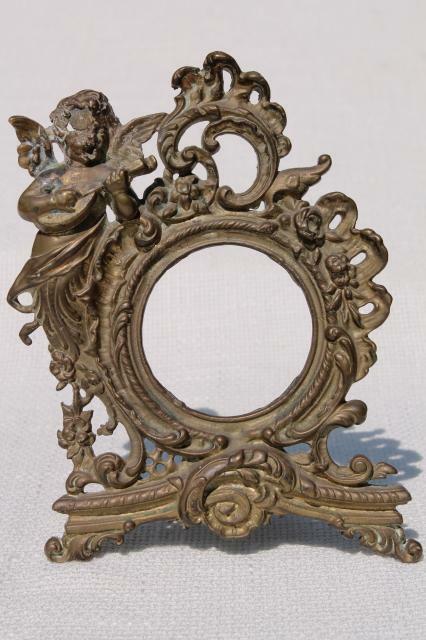 Mid 20th century vintage reproduction of a Victorian era frame, solid brass, with a beautiful tarnished color. 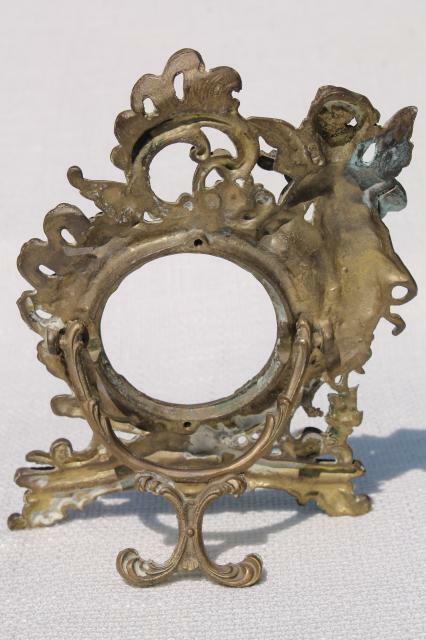 This measures about 7" tall overall, 2 1/4" across the picture opening. 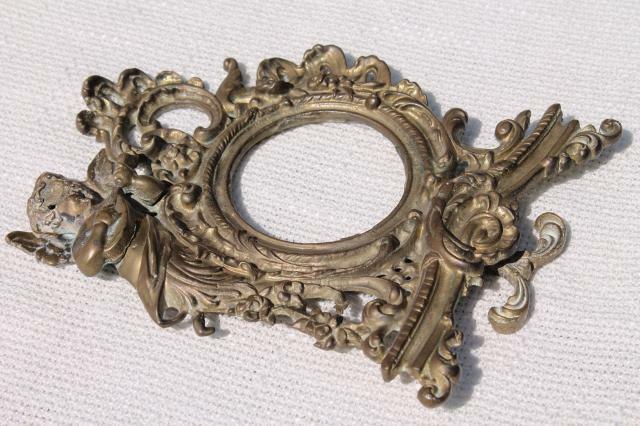 There's no backing here, just the heavy cast metal frame as shown.